Louis Roederer, a wonderful family-owned Champagne House founded in 1776, has a tremendous reputation for quality. Jean-Claude Rouzard has run the House since 1979, and eighty percent of the firm's needs are supplied by their own, magnificent, 444 acres of vineyard holdings. You will enjoy seven wines, from demi-sec Carte Blanche to the Brut Rosé. 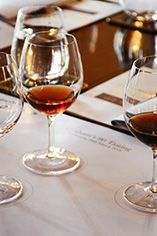 Among them is Louis Roederer's Pinot Noir based non-vintage Brut Premier powerful and richly-honeyed wine is far superior to most other producers’ vintage Champagnes. 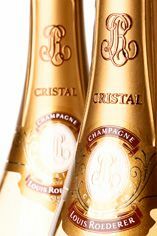 Also available to taste will be Louis Roederer’s renowned Cristal, created in 1876 at the request of Alexander II.